Ret. Sheriff Larry Amerson has been in the law enforcement/public safety field for over 45 years. He graduated from Jacksonville State University in 1975 where he earned a B.S. degree in law enforcement. 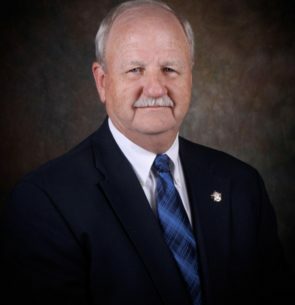 Prior to being elected as Sheriff in 1994, he worked for 14 years as a Deputy working in the jail, and 6 years as Administrator of Calhoun County’s new Enhanced 9-1-1 system. In 1994 he became a candidate for Sheriff and campaigned on a platform of improving and modernizing all operations of the Sheriff’s Office. Sheriff Amerson has served as President of the Alabama Sheriffs’ Association and Board member with the National Sheriffs’ Association. From 2012-2013 he served NSA President.